The Nintendo Switch has proven to be one of the best platforms for engaging and lengthy JRPG's. We've just seen the release of Shining Resonance: Refrain and are days away from Octopath Traveler hitting the console and the system is currently packed with several more such as Xenoblade Chronicles 2 and Lost Sphear. 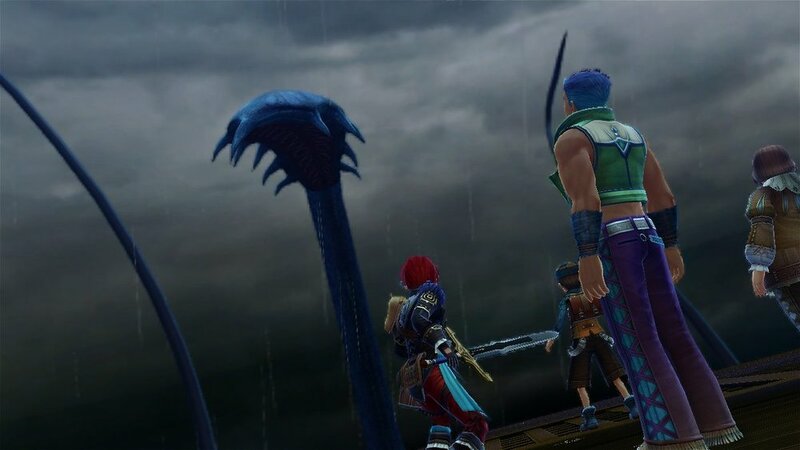 While I have yet to fully dive into the those two upcoming JPRG's, Ys VIII: Lacrimosa of DANA is, without a doubt, one of the best JRPG's I've ever played. That being said, it does have a few issues. Ys, which is pronounced 'eese', is an RPG series that started back in 1987 with Ys I: Ancient Ys Vanished. It's never had the mainstream appeal of something like Final Fantasy, but it still has a very passionate fan base that has celebrated the franchise for decades. Unlike Final Fantasy or even other franchises like the Tales series, Star Ocean, or Dragon Quest, Ys has always featured the same protagonist; Adol Christin. His past adventures are hinted at here through numerous conversations, but what is so incredibly refreshing to a newcomer like myself is that I never once felt like I was missing out here, especially jumping in so late into this storied franchise. While sure there are nods here and there, nothing present requires you to understand the context. 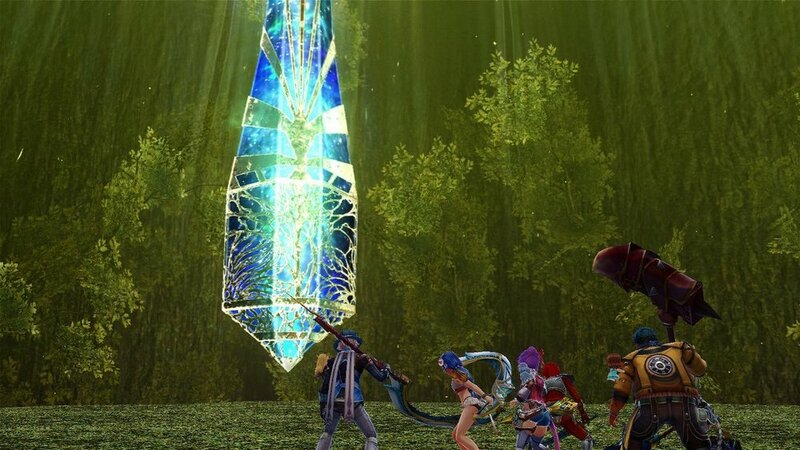 Ys VIII: Lacrimosa of DANA is, first and foremost, a port of the 2016 PlayStation Vita game. Most Vita games have a certain look to them and despite the Switch Hardware being far more advanced, it still very much looks the part. There are some nice clean textures to the main cast of characters, but the world itself can often look grainy and feature several repeated textures that are copy and pasted everywhere. The game can still look remarkable for the Nintendo Switch, but its Vita origins are still very apparent. For those looking for a complete remaster, well, you won't find that here. Our story starts on a large passenger ship, The Lombardia. Adol and his trusty companion, Dogi, just happen to be on board when the ship is attacked by a giant sea monster and its passengers are then shipwrecked on a deserted island. Of course, this isn't your typical island, it is the cursed "Isle of Seiren", a large land mass that has sunk numerous ships throughout history. While escaping the island is first and foremost the main priority of the game as Adol and his allies rescues the remaining survivors, it eventually turns into a battle for the survival of the entire world. While the duration of your 25-40 hours will take place on this cursed island, the amount of variety this locale entails is staggering in its offerings. While Adol is the main protagonist here, his actions are linked with Dana, (Dah-na) a powerful figure from the past who is known to her people as the Maiden of the Great Tree. At first, it is unclear how Dana and Adol are linked, but they start to see key moments in each other's lives and through yet another mystery, Dana finds her way to the present to assist Adol in his task to save the world. Adol and Dana won't be alone in this endeavor, as they will be joined by four additional playable characters and a host of survivors that contribute in a variety of other ways. As you will meet the majority of those castaways at different points in your journey, the additional fighters you can recruit show up at specific points in the story. Laxia, Sahad, and Hummel are available to you fairly early on, while Ricotta and Dana are accessible much later on in the story. While Dana will eventually join your party, there are moments sprinkled throughout your journey where Adol will have dreams of Dana and the life she lived long ago on the island. These moments are playable and allow you to explore the island and get to know what life was like during that era. Dana will have access to her own side quests and activities and these will then translate into unlocking special dungeons, combat styles, and more that further contributes to revealing the lore of not just the island, but the way of life for Dana and her people. The pacing of the story wavers in its early hours but starts to ramp up greatly when you start having access to more of the island. There are moments where you'll be right in the thick of it and then you'll be summoned back to the village for a raid encounter. These are moments where you can outfit your camp with defenses and then beat down waves of creatures until you defeat the boss that follows the final wave. These activities could have been enjoyable as a side activity, but as they occur during key points in your exploration, they do tend to derail the importance of the actual story. As you come across and rescue each survivor from the Lombardia, you will put them to use in your camp as an NPC. While not every castaway is economically built into your camp as a shopkeeper, many of them are and serve their purpose of fashioning you better gear, trading your items, or brewing healing items like potions and elixirs. As you interact with them and offer gifts or complete various side quests for them, you will build a reputation among them. Should that approval be high enough, then you will be privy to the better of the two main endings. I really enjoyed conversing with the castaways and looked forward to their missions. The mission offered to you through Franz, the butler, ended up with a moment where I busted out laughing. Exploring the island will often result in you either coming across a pile of rubble or a tree that is blocking your path, or a ledge that is just out of reach. While you'll unlock special Adventuring gear that will allow you to double jump, run across swampy water, or breath below its surface, you will rely on the castaways back at camp to deal with the bigger obstacles. Each of these obstacles will require a different amount of people needed to assist you. Coming across a large boulder in your way after you've rescued 8 people and the requirement is 21, well, be rest assured that that area is going to be off-limits for quite a while. I also recommend checking out what every item you pick up does as I went several hours through the game only being able to equip one piece of adventuring gear, swapping it out when the situation called for it. As I went through my items to find a food dish I prepared back at camp to boost my exp gain, I noticed I had an item that allowed me to equip an additional item. This was a game-changer. Gadgets and teamwork aside, exploring the interesting and varied environment is made a bit more complicated due to an unintuitive map system that due to the controls and navigation can leave a lot to be desired. When you zoom in to see a large area, there are loading points in the game that don't always show up on the map. This can cause you to either bring up the map constantly as you travel, rely on the tiny map in the corner, or bring up an on-screen map that blocks off half of the game. While that map does contain a partial transparency, certain environments can cause the transparency to not quite work as intended. The main map in the menu itself can be somewhat confusing to figure out which path goes where when trying to travel between the segmented locations. Overall, the map system is somewhat functional but could have been far better designed. While RPG's both Japanese and Western feature colorful casts of characters, unique loot systems, and immersive storylines, the one defining difference between them that can make or break your experience is in the combat system. 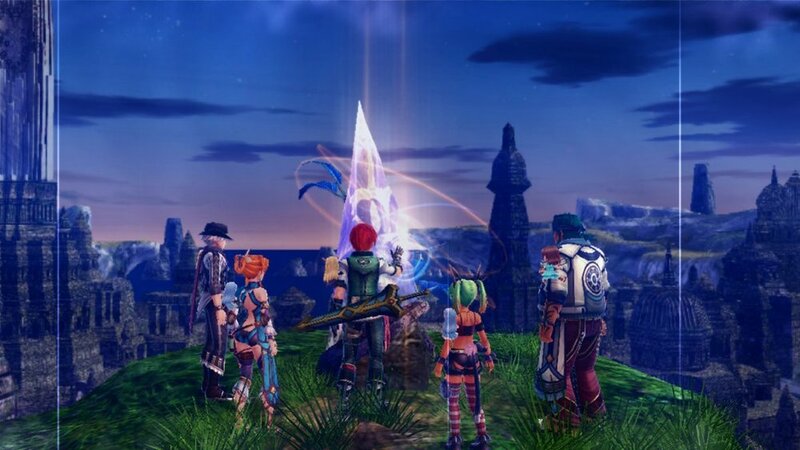 Ys VIII features a simplified version of real-time action combat; think Xenoblade Chronicles 2 but stripped of its multiple systems. While some may say that this contributes to a bare-bones approach, I say, 'Less is more'. 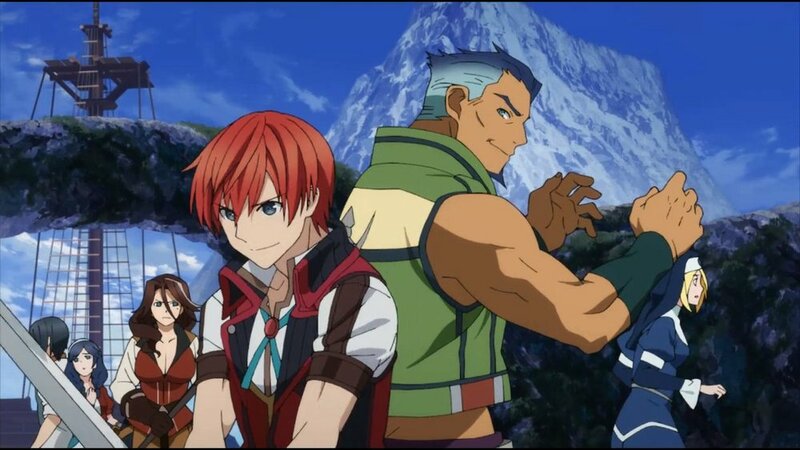 Ys VIII allows you to create a party of three characters out of the six that you have eventual full access too. Your benched characters will gain exp while you are off galavanting with your favorites. You will equip each party member with additional clothes and items that you will either upgrade or craft. You'll have various NPC's in your village that can craft or enhance what you have since you are on a deserted island with very few options. This means that each character is limited to a single weapon class. If you are checking out my pictures I've posted alongside this review, note that those little clinger-dolls that are equipped to each person's arm is part of a free DLC package that is included in the game. Combat is made simple by only using a few buttons on the controller or joycon's, should you take this adventure on the go. Each character has a basic attack and then up to four skills that can be triggered by holding down the R button. Each character will learn a pretty decent amount of skills as they level up and max out existing skills. You can select up to four and each will have a skill point consumption that can be lessened later on with the use of certain items. Skill points are generated through battle as you attack or use skills. There is also an additional gauge that fills up when using your skills that can unleash a very powerful attack. As you can switch to any member of your three-man party at any time, you will find that certain party members will have advantages over certain enemy types, so balancing your party is crucial at harder difficulties. This is due to each weapon belonging to one of three main archetypes; Slash, Strike and Shoot. 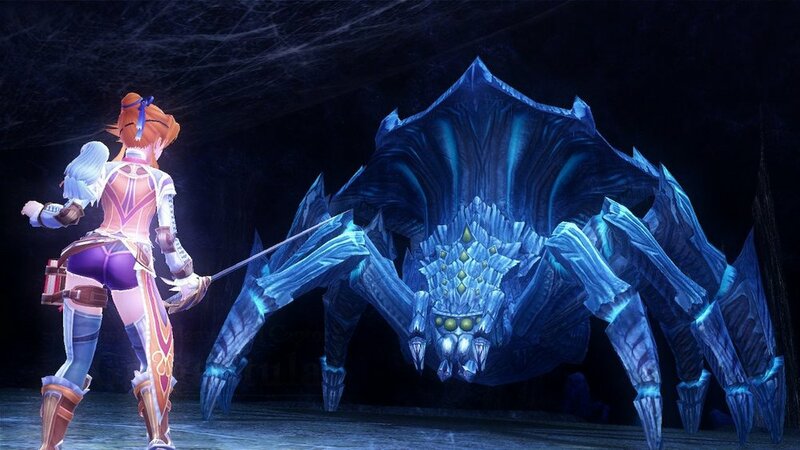 Strike attributes are great against guarded enemies that have armor, such as giant crabs or turtles. These weapons, like Sahad's Anchor, is generally slow, but it does considerably powerful damage. Soft body enemies take extra damage from Slash weapons and this is pretty much any type of wide-range sword weapon. While these weapons deal less damage, they make up for it with speed. While Laxia's rapier is technically a sword, it is more of a distanced weapon and falls into the Shoot attribute. These weapons are actually faster than the Slash weapons and are more about attacking directly in front of you. By using these weapons to attack with an attribute enemies are weak to, you will cause a 'Break-State' and this allows for all three weapon types to deal considerably more damage. Break states also grant better item drops, so it pays to bring the pain. What I enjoyed about the combat is not just how fast paced it is, but how it didn't need to rely on four or five systems to keep it interesting. While I eventually got the hang of Xenoblade Chronicles 2's combat, it was incredibly daunting at first with the dozen or so tutorials that seem to add layers and layers of depth when it didn't really need too. Ys's strength is in its simplicity and it made the game incredibly easy to jump in and know exactly how everything worked. While depth and complexity can certainly have its charm and work well, it doesn't always make for a great experience each and every time. As you can jump and dodge as well, this creates a brisk mobility that further adds to the pace of not just the combat, but the way you traverse the environment as well. In fact, dodging at a precise moment causes the action to slow down and grants temporary invincibility while blocking at the right time will not only grant additional invincibility but will charge your combat gauges as well. As you first explore the island, you'll encounter common enemies like wolves, crabs, birds, and various sea-like creatures. While the remaining sections of the island start to introduce more extravagant beasts and monsters like giant scorpions and large monkeys, it isn't long until you start taking on the more prehistoric threats that are very dinosaur in nature. These creatures are known as Primordials and are a blast to take on. The boss encounters themselves offer some very interesting designs such as the Black Knight Judge known as the Manmorph, or my personal favorite, the Doxa Griel who has a glowing blue center in his chest and is encompassed in volcanic armor. I mentioned at the start of the review that the game can appear somewhat grainy and that is mostly within the environments. While the characters themselves have clean and clear textures, the world itself doesn't get the same love. Environmental details close to you are fine and apart from the copy and pasted textures over the walls and floor, it's when the game is somewhat at a distance where details start to get a bit grainy and creature models start to jitter and become very robotic. Of course, getting up close to locations and creature tend to solve these visual blemishes, but I can't help but think the Switch port could have benefitted from some further optimization. Character models for each of the human characters are clean and feature some very sharp texture work. The faces and hands, however; lack detail and the hands especially could have seen some improvements due to the swap to more powerful hardware. Regardless of playing portable and docked, I noticed several moments of slow down that occurred during several encounters and in the more detailed environments. Ys VIII features a fully voiced cast across its whole cast of characters. While not every bit of dialogue is voiced, there is a substantial amount here. Adol himself even has a few lines when the situation calls for it and it makes me question why they just didn't give his dialogue choices some audio considering they A) have a voice actor attached to him, and B) he has somewhere around 10 different lines of fully spoken dialogue. The cast themselves are great and it's refreshing to play a game and not recognize any certain voice right off the bat. The musical selection here is top notch and I can honestly say it is one of the few JRPG's where the music never once bothered me. Nothing felt repetitive or too high pitched or ruined any particular moment. The soundtrack is fantastic and worth checking out. Ys VIII: Lacrimosa of DANA was a vastly enjoyable action JRPG from start to finish. I clocked in around 45 hours and I still have a few late-game dungeons to take in as well as grinding away to level 99 to take on a very high-level activity. There is a new game+ mode, boss rushes, time attacks, and a few more post-game activities to take on, and my exploration percentage across the game is at 99.20%, so I've pretty much completed everything the game has to offer. There are some graphical issues, the map system is nowhere as good as it could have been, and the raid system often side-lined the story for no real reason what-so-ever. I'm hoping for the franchise to reach out to newcomers like myself and hopefully, one day, see a remaster of previous entries so I can go off adventuring with Adol once again. YS VIII : Lacrimosa of DANA was purchased by the reviewer.